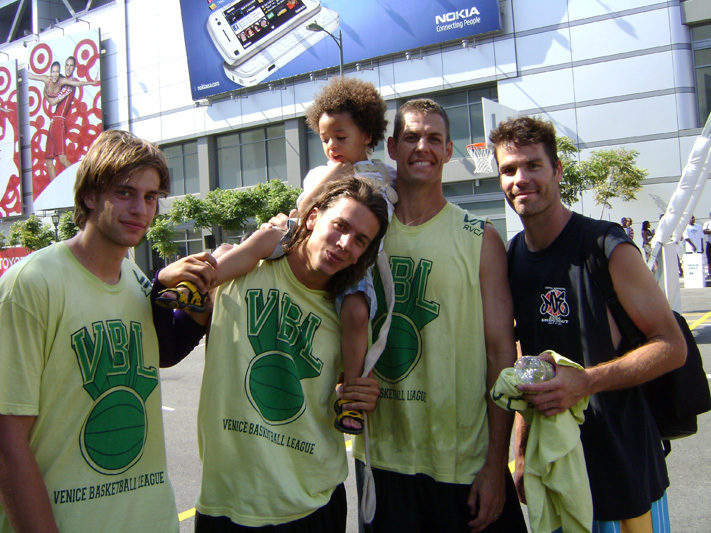 VBL @ Nike AEG Lakers 3on3 TournamenT…VBL goes to finals.. Team Sunblock almost took the cake with a 19-20 loss in the final game. What a battle it was to make it that far and loose on a free throw. This will be the 2nd time Nick and Ben make it to finals and loose by a point after the venice beach WMCJ last month. They say 3rd time is a charm so lookout for them next time Nike comes to town. Jason aka the cable guy took those kids to school. The new addition Matt Garrisson came up big down the line with 2 game winner 3 pointers in quarter and semi finals. This is guy is a true samurai warrior.